As cycling enthusiasts, we understand just how important your bike is to you and that’s exactly how important it is to us. Our fully trained and experienced technicians will ensure you receive the best service possible each and every time you leave your bike in our care. Our fully fitted workshop offers a complete range of service packages, repairs, restoration and builds. From simple puncture repairs and part replacements to a complete build of your dream ride - it's all available right here! Have any questions or looking for advice? Telephone us on 01352 715716 or visit our Workshop during open times. 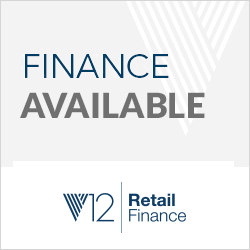 Our 3 core packages offer great value for money. Regular servicing is key to keeping your bike in tip top condition & running smoothly so you can fully enjoy your cycling experience. Call 01352 715716 to book. Call 01352 715716 to book. Frame alignment checked including, gear hanger, dropouts and rear triangle (If applicable) and re-aligned If possible. All threads checked, cleaned and retapped as necessary. Head tube and BB faces checked and refaced as necessary. In event of any re-alignment not being possible the customer to be advised at this point. Frame checked for corrosion. Wheels checked for rim wear, buckles and damage. If rim is 70% or less of original thickness when new, the customer to be advised to have rim replaced and wheels rebuilt or new wheel. Spokes checked for tension using spoke tensionmeter. Wheels trued as necessary. Cones and spindles checked for wear and replaced as necessary. Freehub body checked for wear/function. All transmission components checked for wear and serviced or replaced as necessary. To include: - chain, cassette, pulley wheels, adjuster screws and chainring (s). Ensure all adjuster screws are not binding. Grease as necessary. Headset checked for play/wear and serviced as necessary. Note: Any parts used are in addition to the price of the service. Suspension fork service, rear shock, suspension linkage and hydraulic brake fluids are not part of the Gold Service. However obvious faults in suspension forks to be highlighted to customer at the time the cycle is booked in for service (where possible) or during service if issues found. The technician will, in all instances, endeavour to service a component before suggesting replacement of that part. If you have any questions, please don't hesitate to contact us or speak to our cycle technician when you bring your bike in. 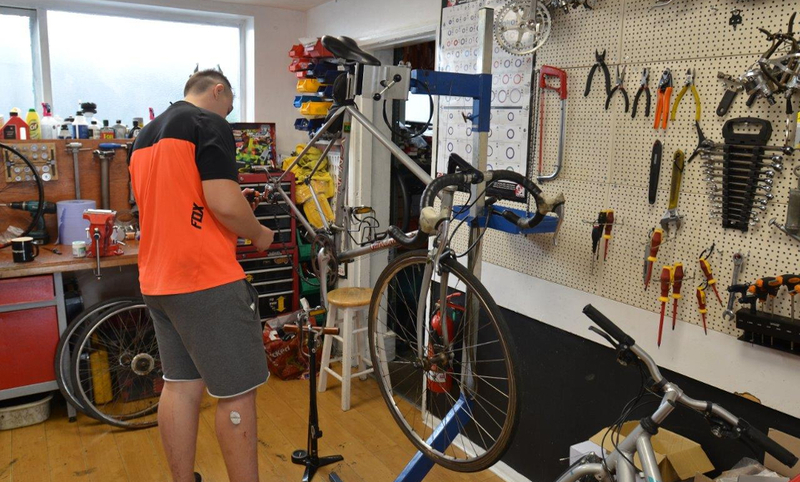 To book your bike in for a service or repair, or if you have any questions regarding our Bike Workshop Service Packages, please don't hesitate to contact us. 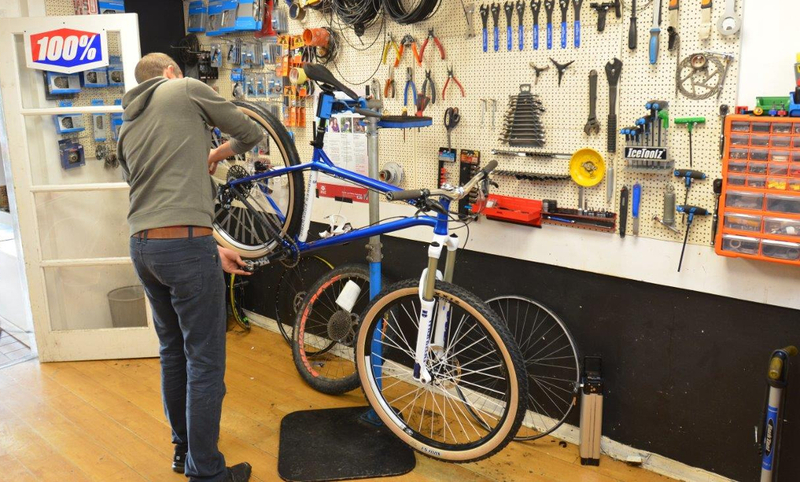 Feel free to telephone the workshop during open times or you're more than welcome to ask our cycle technician for advice and to discuss any concerns when you bring your bike in. Life on Wheels are an Approved eBike Service Centre with in-house Bosch and Shimano Certified Technicians. All replacement bearings are high quality stainless steel. Ceramic Bearings are available if requested.